Not all forms of online gambling were created equal. Online casino betting may be illegal in the USA, but horse betting is as legal as apple pie. 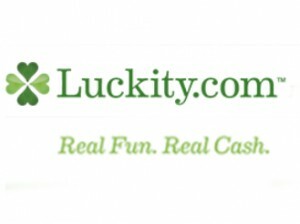 Thanks to a federal law that allows interstate gambling on horse races, Churchill Downs (home of the Kentucky Derby), has just launched Luckity.com. Luckity is targeting the light gamers who usually find themselves playing slot games. Players see the location, names and odds of the race if they want to. If not, they can just “go for the gold” by randomly choosing a number (which isn’t far from slot games). The site is targeting gamers who may like horses, but aren’t exactly professional gamblers. The downside is that payouts sometimes take a few minutes or more as the races have to be declared as “official and done”. Payouts vary as it depends on the total betting pool (sort of like what happens when many people win a progressive jackpot in a slot game). Ted Gay, the president of Churchill Downs Interactive, says that the target demographic is women over 35 who enjoy playing slots, social games and the lottery. “Luckity is really designed with those fans in mind and with an effort to bring other fans like that to racing.” He added that horse owners and horse bettors should start to see bigger payouts as more money goes into the betting pool. The site has an interesting goal in mind – taking horse racing and simplifying it for the modern light gambler. Luckity looks like an online gambling site (which are illegal in the US), but because it goes with horses, it is 100% legal. The world of online gambling is starting to get interesting in the US. Stay tuned for more!